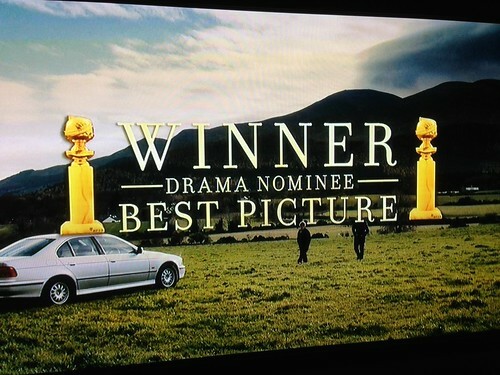 Correct me if I'm wrong, but have any of you seen this in a film marketing campaign before? In TV spots for its movies "August: Osage County" and "Philomena," The Weinstein Company is touting the movies as Golden Globe "winners." 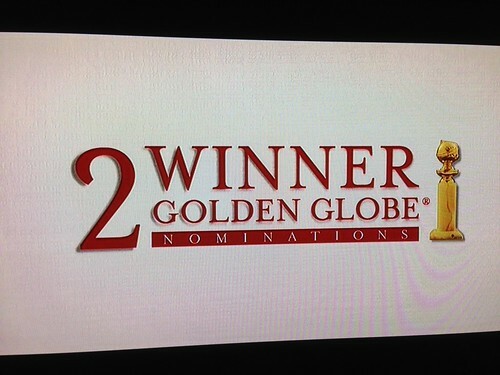 But wait, the Golden Globes aren't until January 14. How are the movies already "winners"? Look closer. They "won" a nomination. 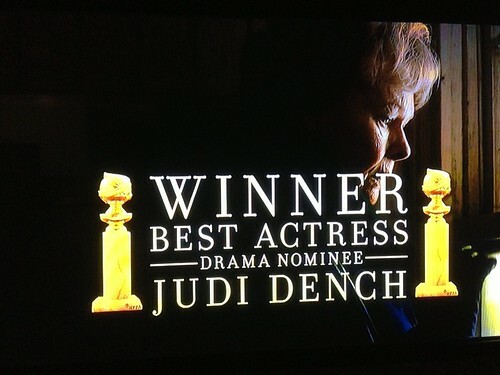 So did Julia Roberts, Meryl Streep and Judi Dench. What the what? How is securing a nomination suddenly a "win"? I've written plenty of award nomination stories before. Yeah, we have to use a lot of verbs to describe being nominated. You can "score," "earn," "land," "grab," "secure," and "take" a nomination -- and there are many, many other ways to describe it too. 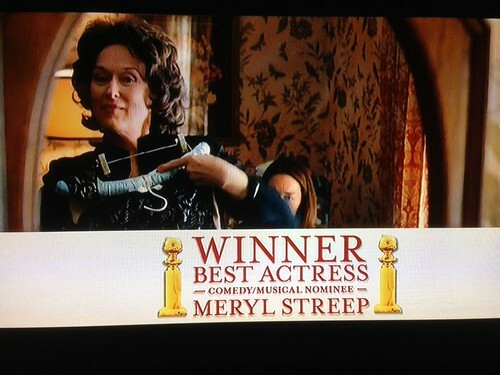 Perhaps I've even used "won a nomination," although I don't recall. 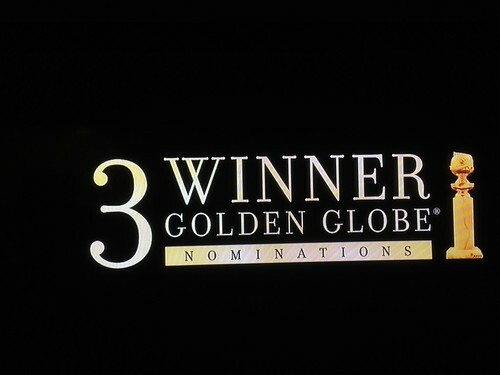 But to put "WINNER" in big letters in an ad, next to pics of the Globes trophy, when the movies and stars haven't technically won anything yet? Unusual move. But I don't normally follow the feature film award races, so I can't tell you if this is common in that world. Either way, it's... an interesting strategy. I TOTALLY noticed this the first time I saw this! Made me feel like I was watching that infomercial that looks like it uses Larry King's old CNN set! Truly smarmy tactic far out of proportion to the talents of the artists involved. As a former advertising art director, I can easily imagine the conversation over the font size and placement of the words "WINNER!!" 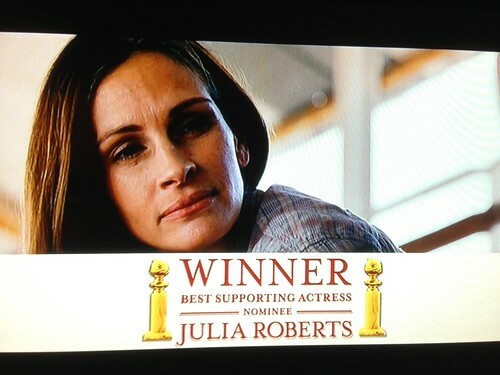 and "nominee", all the while discussing how the stupid public will fall for it & run to see this lauded film.